My hip dysplasia journey is much the same as thousands of other families in Australia and around the world. My husband and I had a beautiful new baby girl who happened to have two clicky hips when she was born. 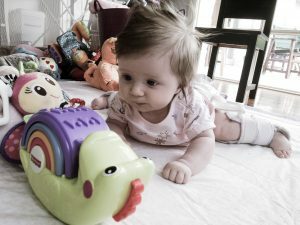 I didn’t know what hip dysplasia was and I received a huge shock when my tiny little Mackenzie was put into a Pavlik Harness when she was 8 weeks old. She had mild dysplasia in her right hip and her left hip was dislocated with severe dysplasia. My husband and I were given little information (or perhaps we just didn’t take it all in at the time) and I was 100% devastated - I cried for two days straight. Like other parents I knew that “it wasn’t that bad” and that “it was for the best” and “there are families experiencing much worse” but in all honesty, I found the whole experience to be traumatic. In the beginning I wasn’t at all prepared and I struggled with everything. I couldn’t find clothes to fit, I couldn’t find a good breastfeeding position, I couldn’t give my little baby a bath and her sleeping bag didn’t fit properly anymore. Nappy changes were now really tricky, and she had an epic blowout on day 2 which I unsuccessfully tried to spot clean from her white harness. Then we found out that Mackenzie’s femoral nerve had been pinched after her left leg stopped working. This was all in the first week! Then week 2 came along and suddenly, it became much easier. We adjusted our usual habits, routines and baby clothes. In no time at all we were all settled, and life went on. Sure, I stressed about scans and reviews but the day to day stuff was a breeze. Mackenzie was fine with the Pavlik Harness and so was I. The total change in mindset that happens between weeks 1 and 2 is truly amazing. Mackenzie’s treatment went from 24/7 to 23/7, then nights only over a period of 8 months. At the time of writing this, Mackenzie is nearly 3 years old with healthy hips. In hindsight, it wasn’t so bad at all and we are grateful that we were able to treat this problem with just some straps and Velcro. Mackenzie’s milestones weren’t impacted, and she wasn’t left with any emotional scarring (that we are aware of). She has no memory of it whatsoever. During Mackenzie’s treatment I had to scour the internet for solutions to practical problems I encountered with the Pavlik Harness. I desperately tried to find out the answers to questions like: How can I stop nappy blowouts? What clothes can I dress her in? What sleeping bags will fit? What car seat do I need? etc etc. It was really difficult, and I frequently bought things hoping they would work with the harness, only to find they didn’t. I could have really used a “hip dysplasia shop” and I especially wanted to get my hands on a nice, thick sleeping bag that was just like the ones you find in baby shops but wider. I had no luck. Fast forward a year after Mackenzie’s treatment finished. I was working as a lawyer for a small Melbourne firm. I found the job to be stressful and difficult to manage with two little kids. Desperate for a change, I decided to leave the legal profession behind and start something new. This is how Hipsleepers came about. My original idea was to sell specialty, roomy sleeping bags in various tog ratings for babies receiving treatment for hip dysplasia all over the world. I got my mum, Kathy, on board as my business partner to help me with the garment specifications as she knows everything there is to know about sewing, quilting and craft. My idea quickly evolved to include clothes and accessories that I wished I had easy access to during our hip dysplasia journey including winter weight legwarmers, onesies with a high cut leg hole, nappy covers, bean bags, nappy change stuff, etc. I also wanted to show parents the lighter side of life with a baby receiving treatment for hip dysplasia. A lot of the stories and information online (like my story above) refer to the struggle and hardship. 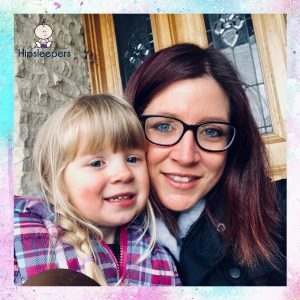 I like to find the humour in life and I do my best to produce posts for our blog and social media that families might find useful, interesting and perhaps even funny! 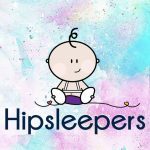 Hipsleepers has been open for about 4 months now and it is by far the best and most rewarding job I have ever had. We frequently receive happy, positive feedback from customers which sincerely means the world to me. I love to know that our little business is making a small difference during a difficult time and working with my mum is a nice bonus too! Would you like to help make the DDH journey that bit easier parents and children alike? Donate to HHA today to help increase the support services we can offer to the Australian DDH community. We are an endorsed DGR recipient. Donations over $2 are tax deductible. Donate now.